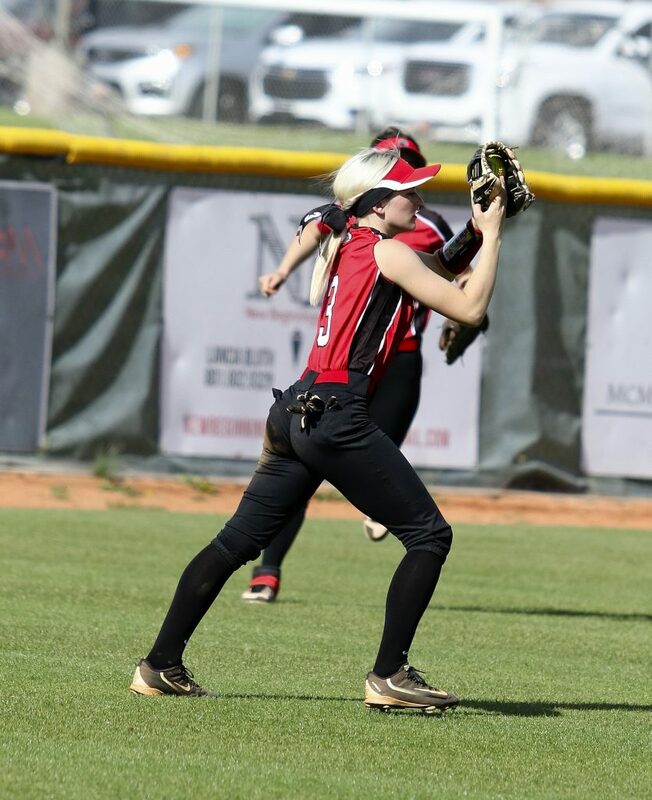 CEDAR CITY — The only undefeated softball teams in Region 9 – Cedar and Desert Hills – faced off Thursday afternoon in what proved to be quite the battle. After outstanding performances from both teams, Cedar came out on top, winning 11-8 at home. Both teams showcased the offensive talent in their lineups, with the Lady Reds finishing with 12 hits and the Thunder hitting 11. 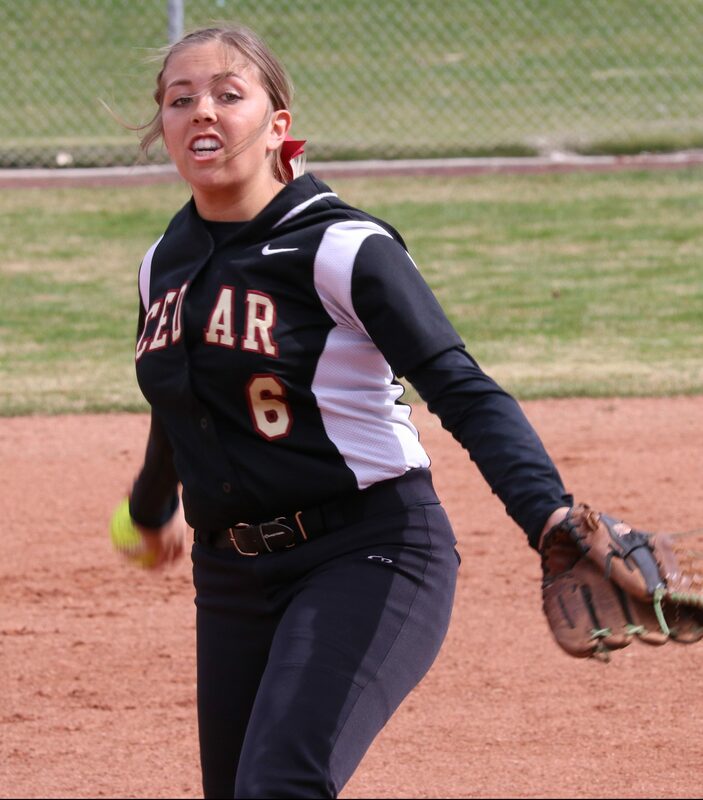 The two teams combined for a total of seven home runs, with Cedar hitting four and Desert Hills with three. 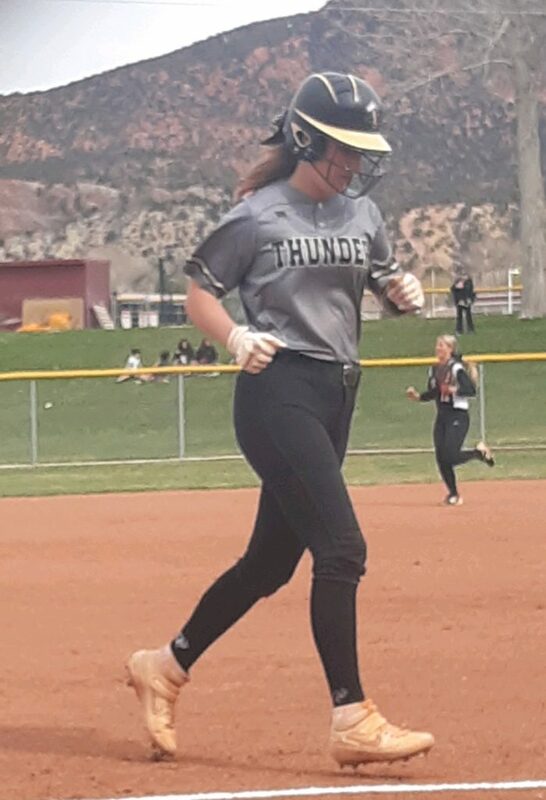 Sophomore Kelsi Oldroyd for Cedar and senior Addi Betts for Desert Hills each hit two homers. 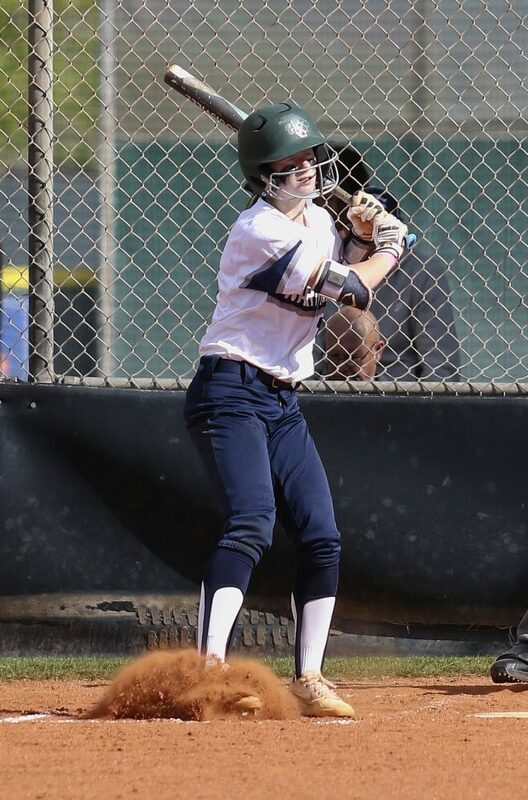 The game started off strong for the Thunder, as freshman shortstop Lexi Green got hit by a pitch and senior Katelyn Philips laid down a sacrifice bunt to move Green into scoring position, giving Betts the opportunity to bring her in. 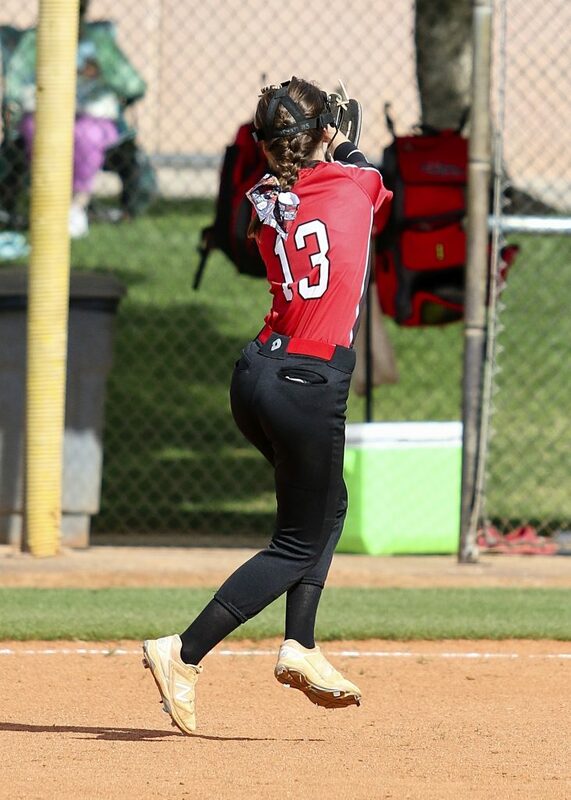 She did so, hitting a shot to the right field gap, which was followed by junior Tori Hinton, who also hit a single to right field. 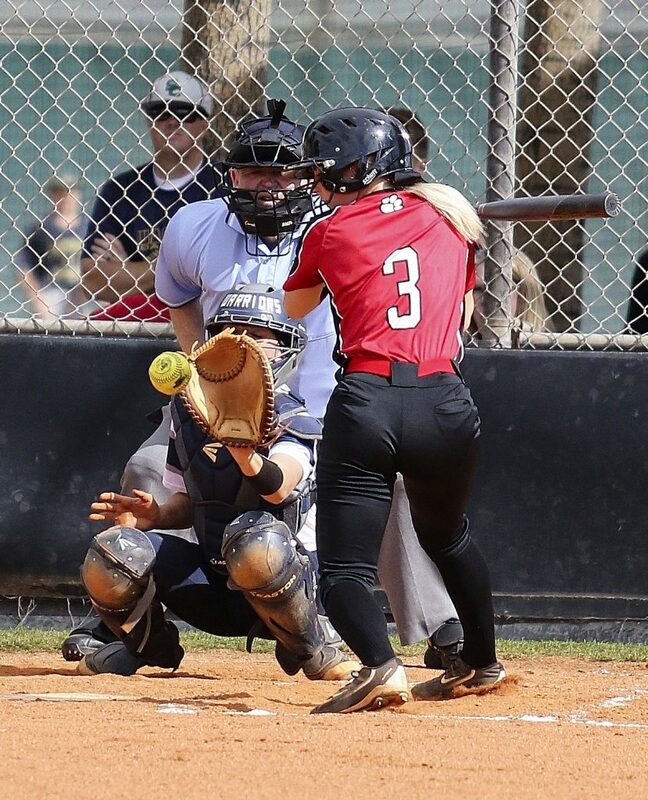 With Betts and Hinton both in scoring position, The Lady Reds’ defense was able to pull through with a strikeout from senior pitcher Kenzie Waters and an out from the infield. 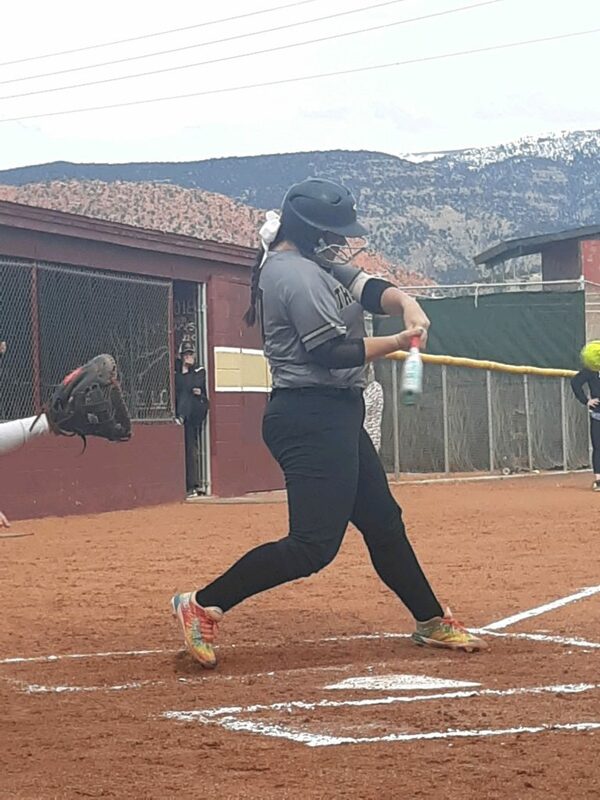 Cedar retaliated with three runs of their own in the bottom of the first, beginning with a home run from Kelsi Oldroyd, followed by a double from junior Denim Henkel and a two-run homer from junior catcher Britnie Simcox. That made it 3-1 in favor of Cedar after one inning. That didn’t slow the Thunder down, as they continued their rally in the top of the second. Senior Quincey Staheli dropped a pop fly right behind shortstop to get on base. Two outs followed Staheli until Green was walked and Philips hit almost an identical pop fly, scoring Staheli. 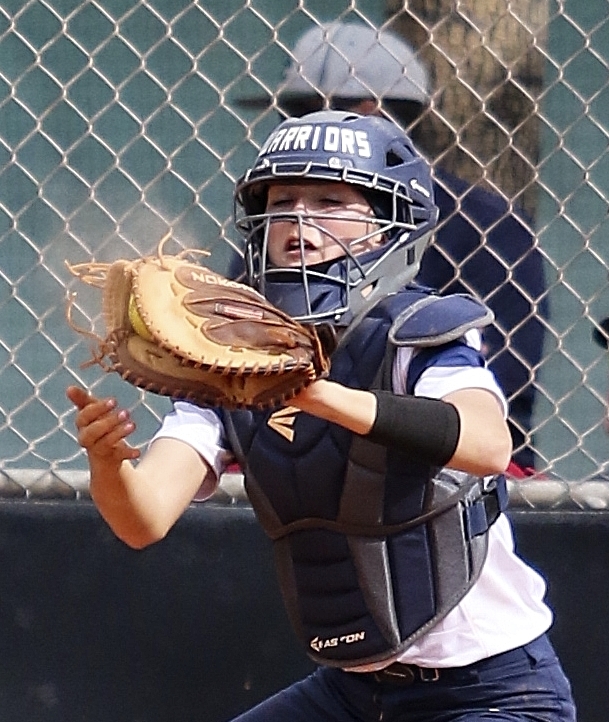 Betts stepped up to the plate, looking confident, and connected on her second pitch, slamming a ball over the left field fence to score three more runs. The score stayed 5-3 for Desert Hills until the top of the fourth, when Philips and Betts hit back-to-back home runs, making it 7-3. The bottom of the fourth started with an error and two walks, which led to the bases being loaded for Cedar with only one out. 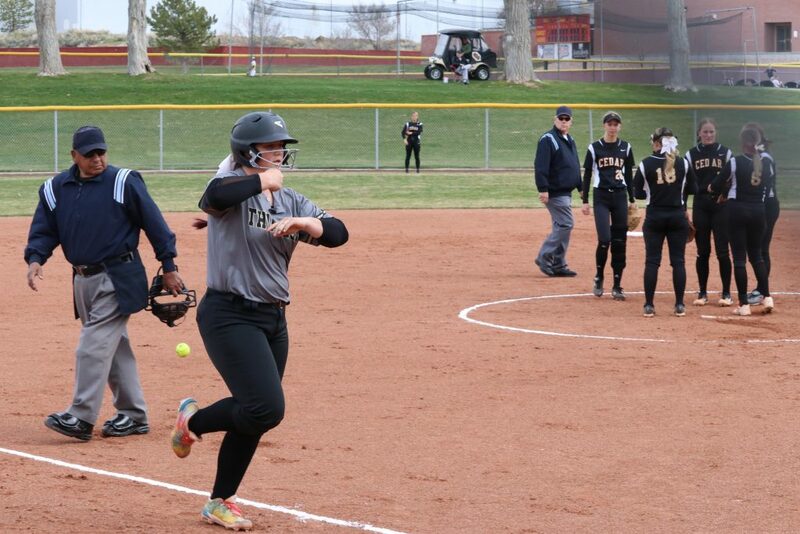 Desert Hills senior pitcher Kylee Christensen got her first strike out, leaving the bases still loaded and two outs. 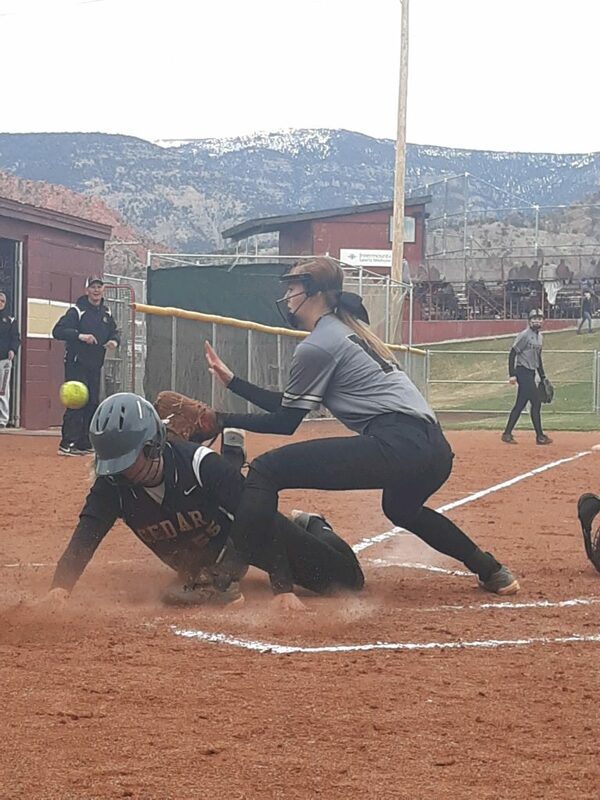 With runs on the line, Cedar junior Kaylee Stubbs secured a hit up the middle to bring in two runs, but moments later Stubbs was tagged out at second base for the final out of the inning, leaving the score 7-5 for Desert Hills. In the top of the fifth, Christensen was first up for the Thunder, smacking a double. Waters then snagged a strikeout, her fourth of the game. 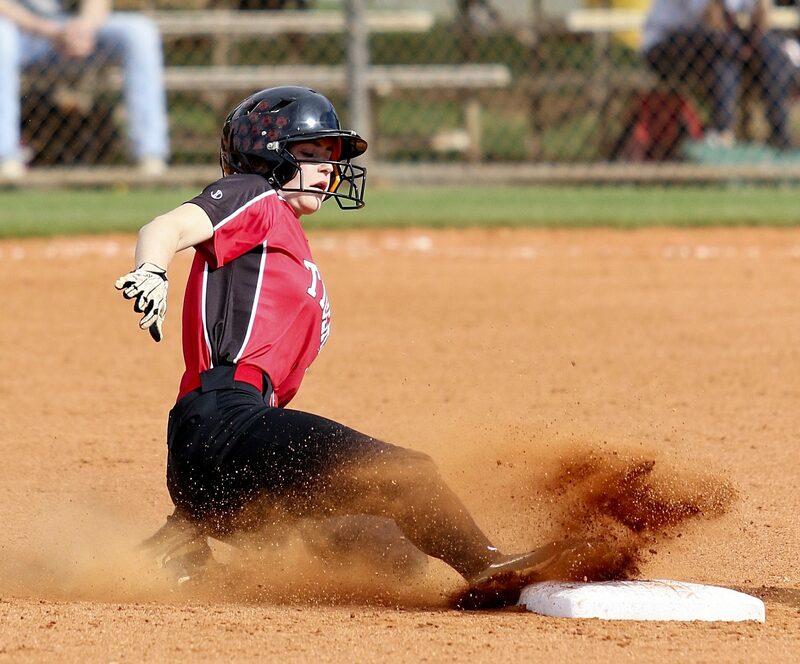 Third baseman Kylie Oldroyd cleanly fielded a grounder and got the out at first while Christensen moved to third. 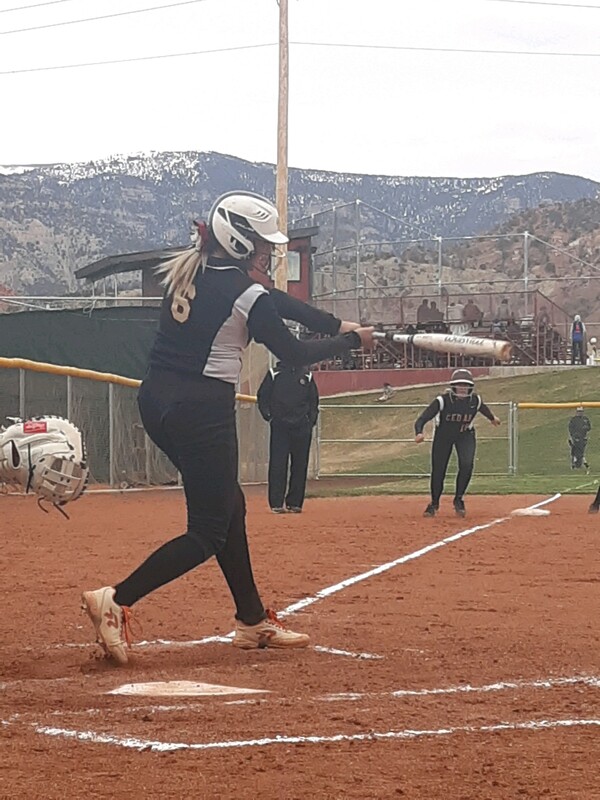 But Desert Hills junior Chelsea Pierce came through in the clutch, hitting a single to score Christensen and making the score 8-5. 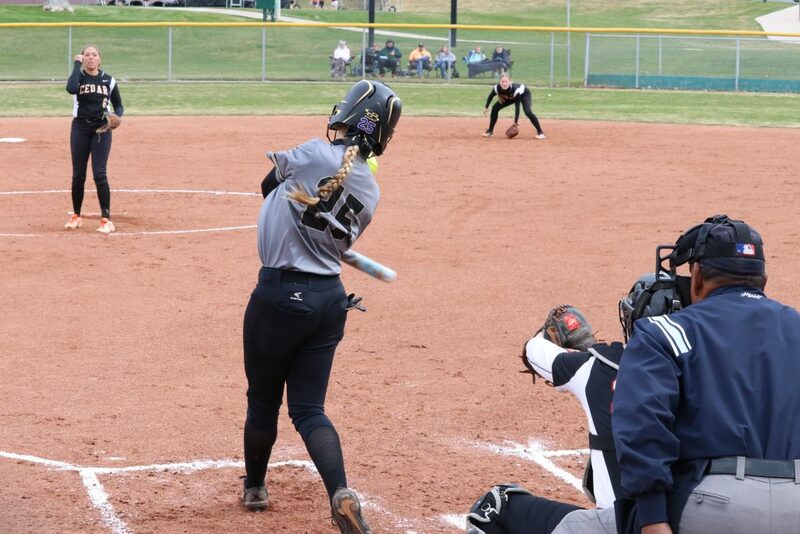 Even though Desert Hills was in a groove offensively, the Lady Reds were determined to not give up. Junior Japrix Weaver set the tone for the bottom of the fifth as she bombed a home run over the right field fence, getting her team fired up. 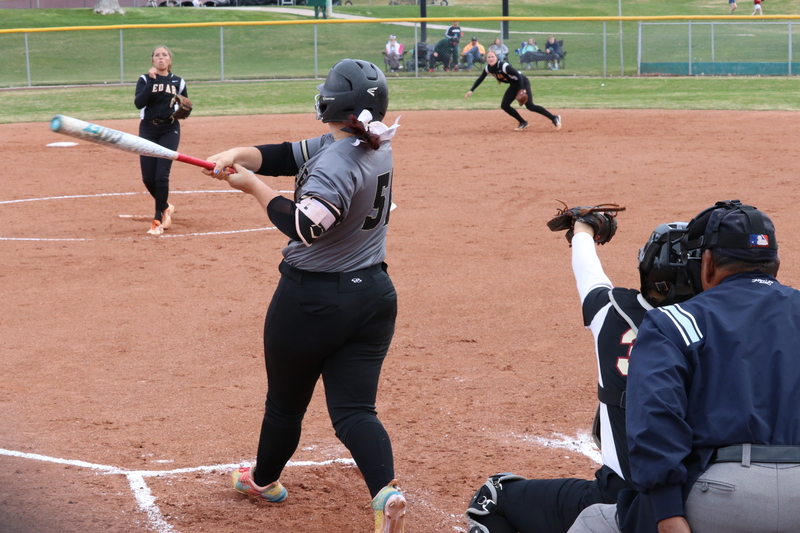 Kelsi Oldroyd kept the excitement up with a single, which was followed by a double by Henkel that scored Oldroyd and brought Cedar within one run. 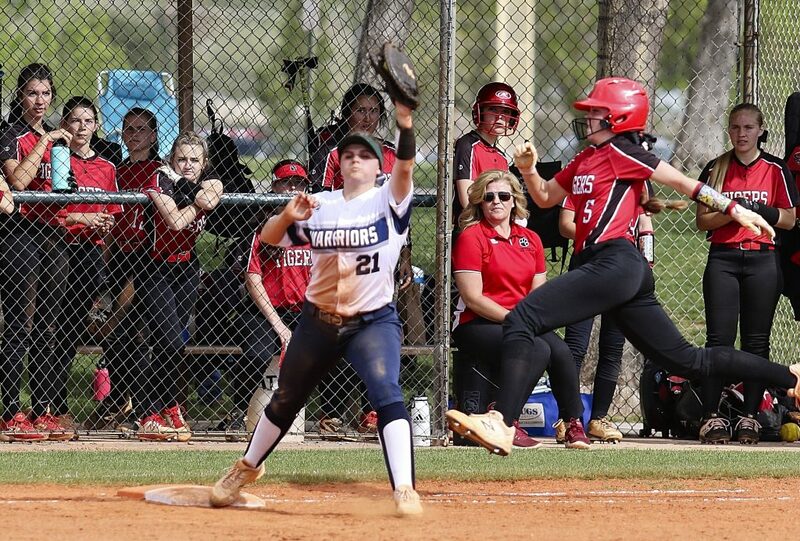 Kylie Oldroyd drew a walk, then she and Henkel were able to advance into scoring position as Waters stepped up to bat. On a passed ball, Henkel sprinted from third to home and dove in safely at the plate to tie the game 8-8, with Kylie Oldroyd advancing to third. 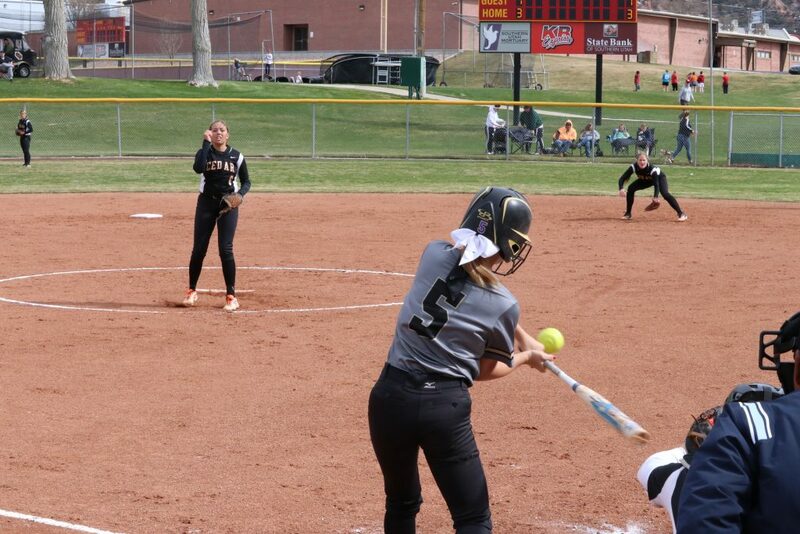 Looking calm and collected, Waters then hit a single to score Kylie Oldroyd and put Cedar ahead for the first time since the beginning of the game. 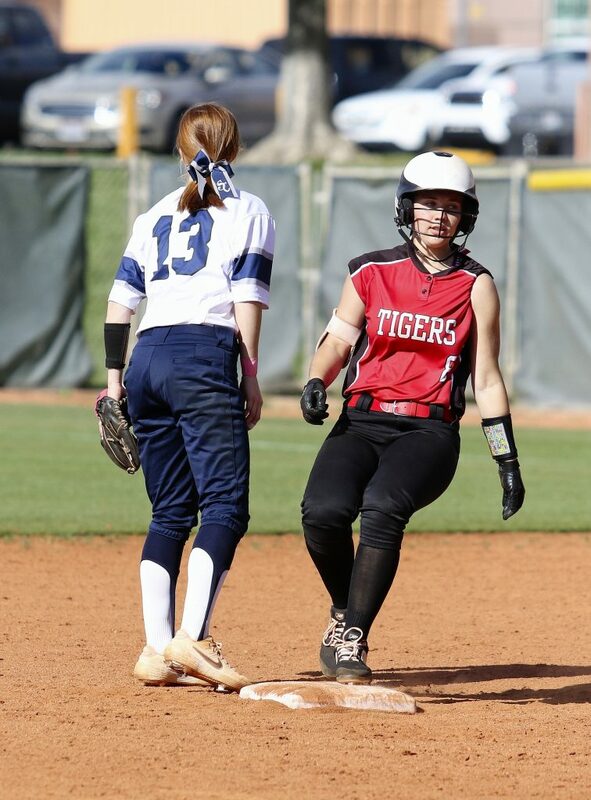 The Lady Reds didn’t trail for the rest of the game, even after an intense sixth-inning defensive sequence. A pitching change to Henkel for the inning was just what Cedar needed to throw off some of the Thunder’s best hitters. 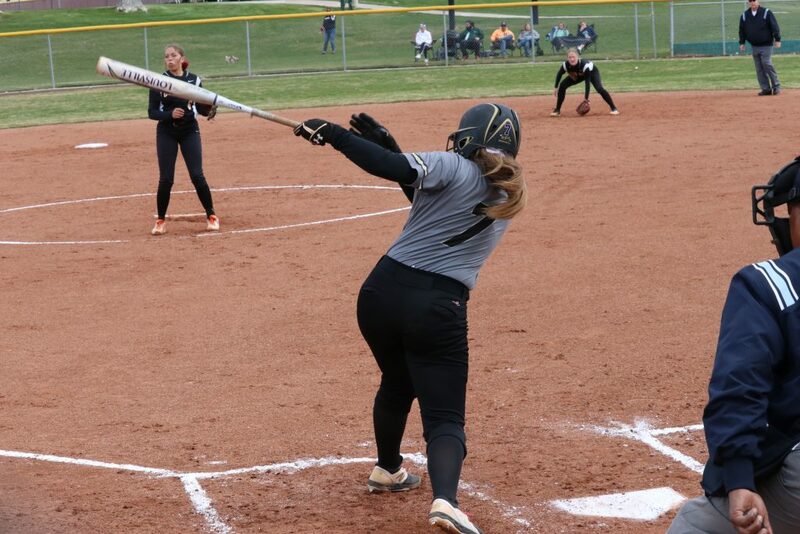 Green was able to smack a double and get into scoring position right off the bat, but Henkel showed her fire as she struck out the following two batters and forced the final batter to pop up for the third out. Desert Hills also made a pitching change in the sixth, with Pierce replacing Christensen, but Cedar kept their bats alive. 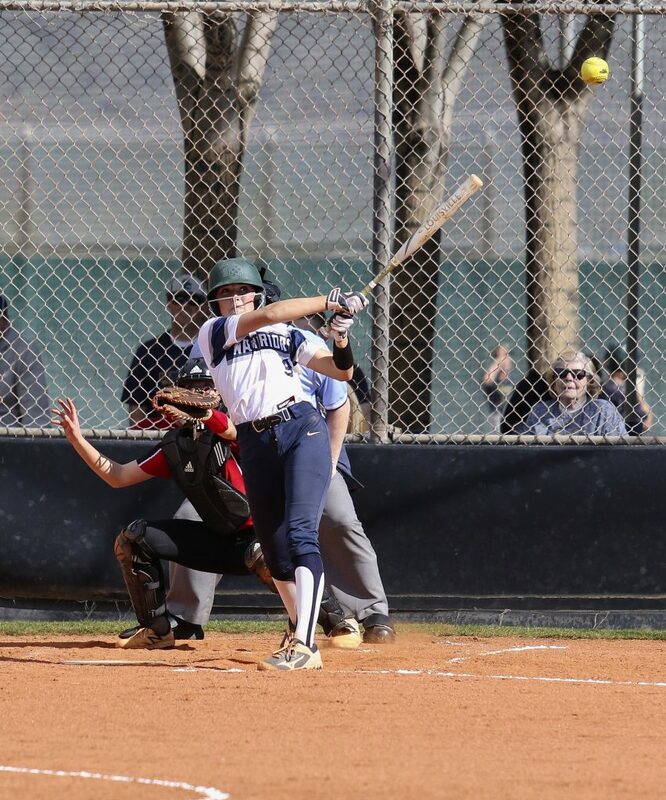 Weaver hit a single and Kelsi Oldroyd followed with her second homer to score two more runs. 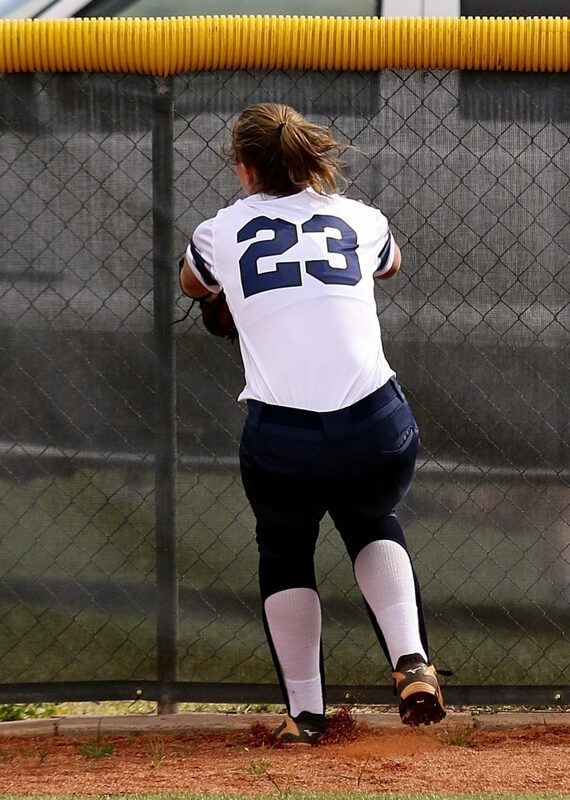 With a three-run lead in the top of the seventh, Waters returned back to the circle and finished off the game with her fifth strikeout and forcing the final two batters to pop up. Waters ended up with her 12th pitching victory this season, finishing with five strikeouts and two walks. Christensen took the loss for the Thunder. 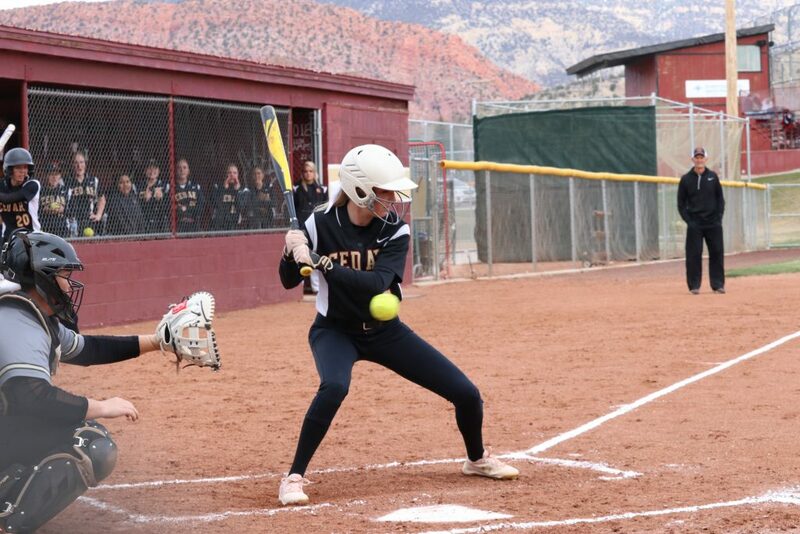 Desert Hills’ next region game will be Tuesday at home against Pine View at 3:30 p.m. Cedar will next play at Hurricane Tuesday at 4 p.m.
At Snow Canyon, the Lady Warriors overcame a slow start to shut out the Hurricane Tigers 11-0 Thursday afternoon. The first half of the game was a defensive battle, with the score still 0-0 after three innings. 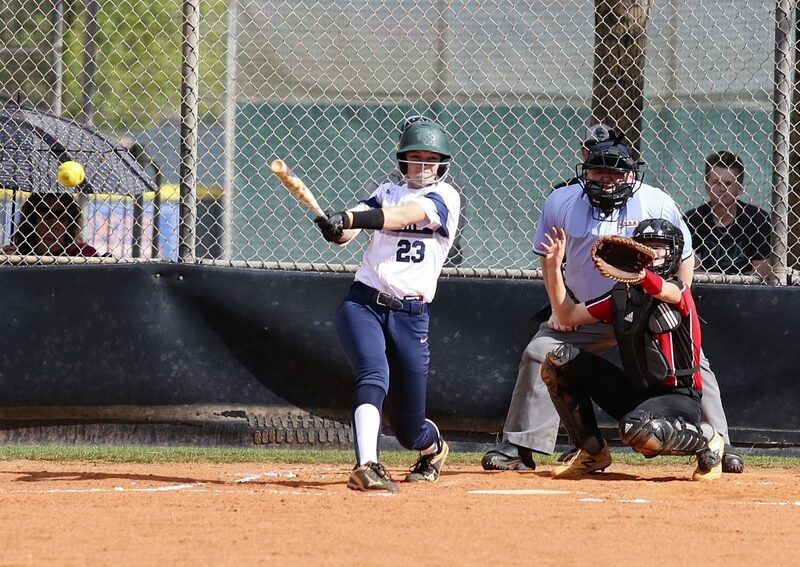 Snow Canyon picked up a run in the fourth, thanks to an RBI single by Alex Deming that scored teammate Emma Bingham. 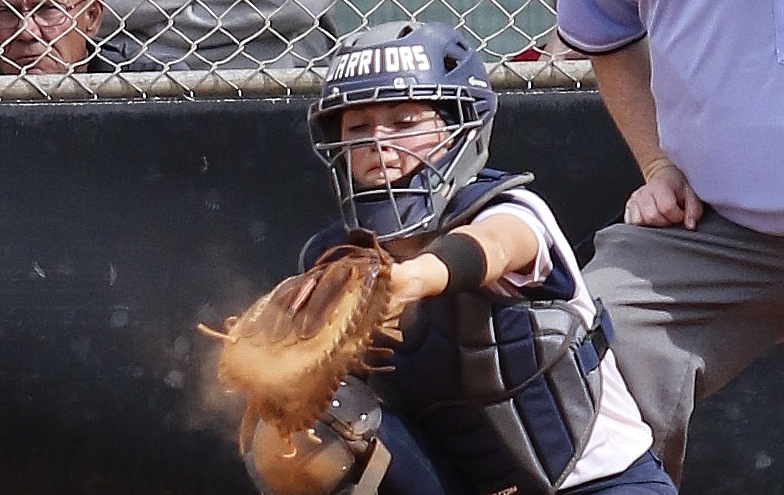 The Warriors added four runs in the fifth inning, with Bingham hitting a three-run homer. 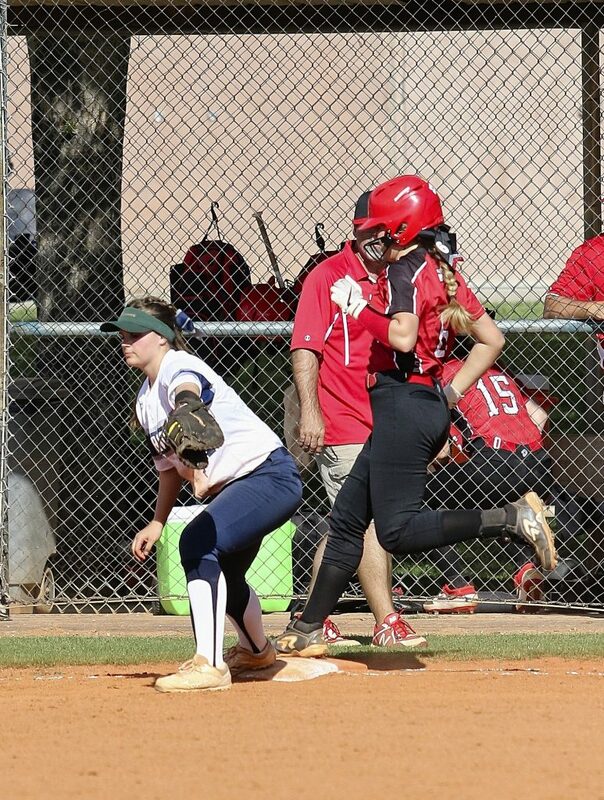 In the sixth and final inning, Snow Canyon capitalized on four Hurricane errors to add six more runs and end the game one inning early, 11-0. 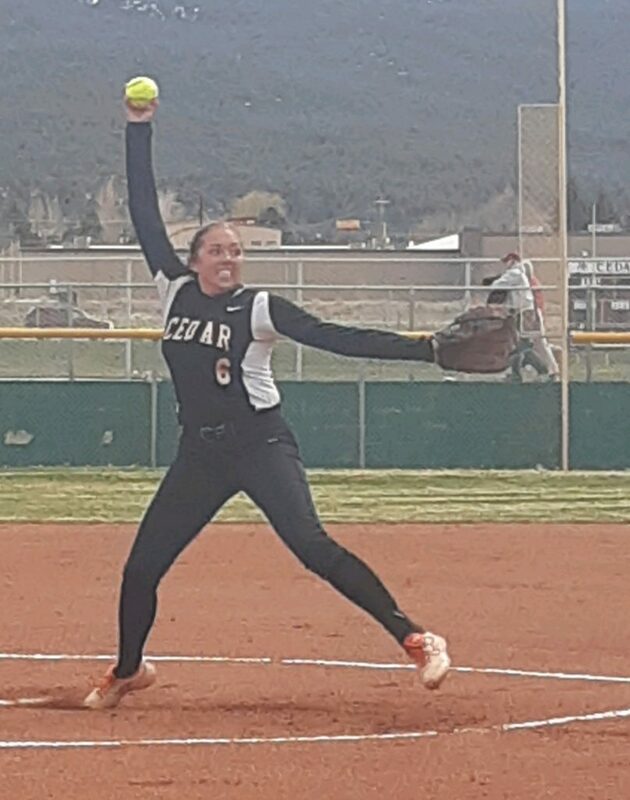 Jenna Thorkelson was the winning pitcher, throwing all six innings and giving up four hits and three walks while striking out four batters. Starter Chantell Pearson went the distance and took the loss for Hurricane. 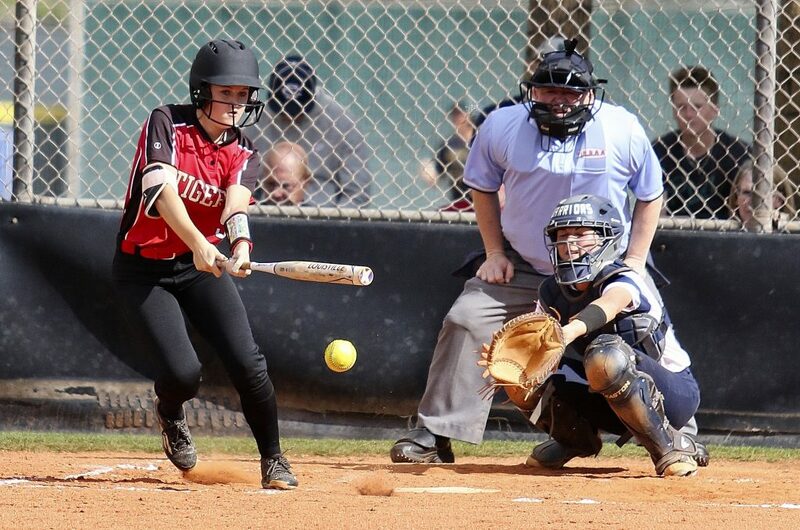 Region 9 softball action continues Friday afternoon as Dixie plays at Canyon View at 3 p.m.